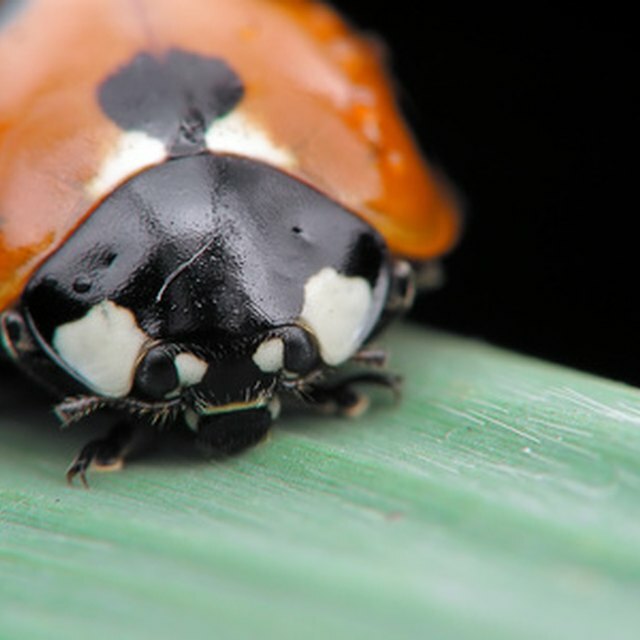 What Do Asian Lady Beetles Eat? Animals that feed on dead flesh or carrion are called scavengers. This feeding behavior is common to some vertebrates, such as vultures and coyotes, but also happens among invertebrates, such as insects. Blow flies, flesh flies, harvester ants, some species of yellow-jacket wasps and several species of beetles feed on dead flesh. Beetles of the families Silphidae or carrion beetles, Staphylinidae or rove beetles, and Scarabaeidae or dung beetles feed on a variety of decaying organic material, including dead flesh. Common carrion beetles in North America include the small American carrion beetle (Necrophila Americana), the giant carrion beetle (Nicrophorus americanus) and the gold-necked carrion beetle (Nicrophorus tomentosus). The devil's coach-horse beetle (Ocypus olens) is a species of rove beetle while giant Amazonian carrion scarab beetle (Coprophanaeus lancifer) is among the largest dung beetles that also eat carrion. Flesh flies are members of the family Sarcophagidae, which feed on carrion throughout their development stages, from maggot to adult. Flesh flies can carry several pathogens, including the leprosy bacilli, which is transmitted to people who eat meat contaminated with eggs or larvae. Common genera of flesh flies include Blaesoxipha, Gymnopsidia and Opsidia. Also known as carrion flies or bluebottles, blow flies are part of the family Calliphoridae, which includes more than 1,000 species worldwide. These flies feed on dead flesh when in their larval stages, but in some species adults also eat carrion. Members of the genus Cochliomyia can also parasite live animals and feed on their blood and flesh. Although most ant species feed on plants, some species of harvester ants also eat carrion, thus playing an important role in the recycling of organic matter in forest ecosystems. Closely related to ants and also part of the order Hymenoptera, some wasps, such as the North American western yellow-jacket (Vespula pensylvanica), also eat dead animals. Zinni, Yasmin. "List of Insects That Eat Dead Flesh." Sciencing, https://sciencing.com/list-insects-eat-dead-flesh-8596530.html. 24 April 2017.